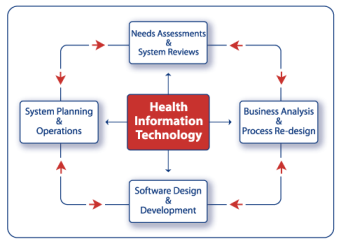 HLN provides a wide variety of health information technology services to public health agencies and their not-for-profit partners. No project is too big, or too small for that matter. For our Federal partners, we are often engaged to support strategic planning efforts, to conduct research on health IT trends or developments, or to work with national experts on developing or validating standards. For our state and local partners, we are often engaged to evaluate existing technology, develop new software solutions, or advise on the application of Federal or state policy for IT. Clients often contract for our services through their not-for-profit partners, and HLN provides flexible and nimble contracting support for these arrangements. Our clients come to us for different reasons. Our technological competency. Our business acumen. Our project management expertise. Our strategic thinking. HLN offers a full complement of consultant services and support that deliver results. We partner with our clients to ensure that they get the most practical approach and solution and we take this responsibility seriously. HLN is one of the pre-eminent immunization information system services vendors in the country, specializing in project evaluation and continuing development of custom systems. HLN is a leading consultant to interoperability and health information exhange (HIE) projects. HLN has provided planning and technical expertise to several active HIEs, including state-level HIE projects, Beacon Community projects, non-profit Health Information Organizations, and vendors. HLN is dedicated to the development, improvement, promulgation, and use of Open Source solutions, especially in the public health community. HLN made a major investment in the development of Open Source tools focused on clinical decision support. HLN developed a web-based electronic health record system system specifically to support patient registration and immunization administration in immunization clinics operated by a large municipal public health agency. The state of the art system incorporates an expert decision support system that intelligently prompts the clinic staff to ask the patient the precise screening questions that are appropriate for that specific patient encounter and then recommends and contraindicates immunizations based on the answers to those questions, as well as the patient’s age, gender, and immunization history. The system is integrated with the municipality’s immunization information system so that both systems can benefit from data contained in the other. HLN completed a project to assess the current level of PHIN compliance and to develop a plan for achieving compliance for a state public health agency. HLN consultants engaged with a wide variety of stakeholders to identify the drivers and challenges for achieving PHIN compliance. Stakeholders were engaged through individual and small-group interviews, and presentations at various meetings and functions. HLN developed and documented a methodology for DPHS to create an overarching technical architecture. The methodology involved collecting information systems data, assessing gaps, and prioritizing opportunities. To assist with its execution, HLN customized and deployed a web-based Systems Inventory Database application, accessible on HLN’s website, which was a key part of the collaboration between the HLN and client teams. The client used the technical architecture, the gap analysis, and the options and recommendations presented by HLN to move towards PHIN compliance. HLN provided project management and business analysis support to the International Society for Disease Surveillance Meaningful Use Workgroup as it developed syndromic surveillance standards and guidelines to be used by the Office of the Coordinator of Health Information Technology (ONC) to clarify the public health surveillance requirements of the Center for Medicaid and Medicare Services (CMS) EHR Incentive Programs. HLN staff facilitated the work of the group and produced two key deliverables: a Final Recommendation: Core Processes and EHR Requirements for Public Health Syndromic Surveillance and significant contributions to CDC’s PHIN Messaging Guide for Syndromic Surveillance. HLN staff also provides support for the group’s 2012 recommendations: Electronic Syndromic Surveillance Using Hospital Inpatient and Ambulatory Clinical Care Electronic Health Record Data: Recommendations from the ISDS Meaningful Use Workgroup. A senior leader, Dr. Noam H. Arzt, who can act as project director with sufficient authority and experience to guide the progress of multiple projects simultaneously. Strong, experienced project managers for individual task orders who ultimately have the authority to commit the team’s resources and who acts as the primary liaison to the client. Where necessary, a “hands on” technical manager with deep technical experience supporting IIS provides additional back-up to the project manager. Top-notch staff members who fill a variety of roles — business analysis, programming, systems administration, database administration — who work in small teams under the direction of a technical manager who, working with the project manager, provides direction to the technical staff. 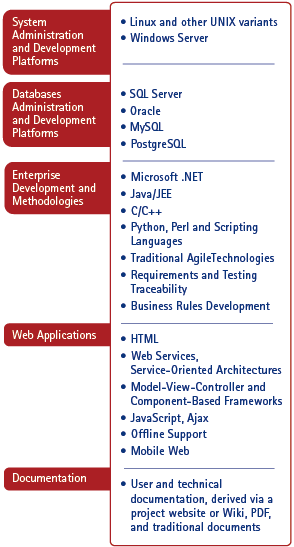 HLN staff are skilled in a broad range of technologies and methodologies. A targeted support model, with key staff members who travel on-site when necessary to meet with clients and discuss work. This arrangement allows us to recruit the best and brightest team members, keep our overhead to a minimum, and maintain our focus on the work. A flexible staffing model which allows us to bring the right expertise to bear on a particular project, challenge, or opportunity. While we generally assign staff to projects, our work is performed and our effort is tracked on an hourly basis — we do not have fixed, rigid staffing targets for particular team members on particular projects. This flexibility works in everyone’s best interest, most especially the client’s. Our work is team-centered and team-executed.Our project managers and technical managers work together with clients to field the appropriate staff at the appropriate time within an overall project budget and an agreed-upon project plan. Use of structured methodologies to ensure rapid turnaround on requests and early, visible results as solutions are developed. While we believe in using a structured System Development Life Cycle, we also recognize that too much process can overly constrain the flexibility that may be required for some projects, especially projects that are new and different. When appropriate, we use Agile methodologies to complete tasks, typified by repeated short cycles where specific functionality is rapidly designed, prototyped, and demonstrated to the client rather than a complete waterfall approach before any implementation begins. Our project managers and technical managers work with clients to determine when it is appropriate to use this technique. Remote access to systems is required for our technical team to be effective and to be able to respond to problems whenever they occur. We expect our staff to be provided with secure, remote access to both the test/staging environment as well as the production environment. We will also set up local instances for our own development: to do so will require the systems source code for installation on our own virtual servers (but no protected health information). This is the same type of remote access that other public health agencies around the country have granted to the HLN teams that have supported them for more than a decade. Generous use of online collaboration tools including e-mail, web conferencing, wikis, and a web-based ticketing and project management system, allows us to support strong collaboration both amongst HLN team members and jointly with clients.